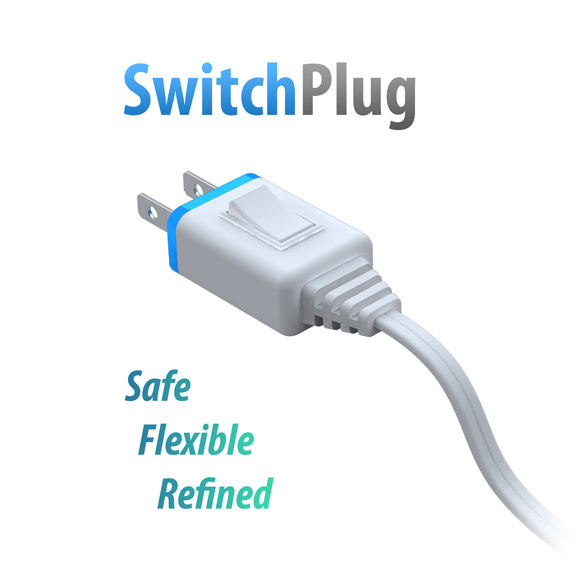 SwitchPlug is a redesign of traditional plug. 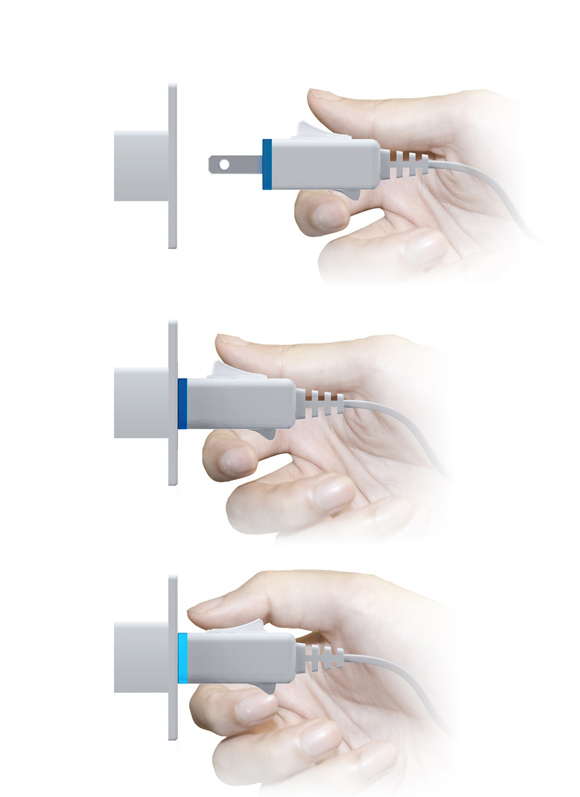 It perfectly fits users’ thumb to turn on the plug after pushing it into the socket, and turn off the plug before pulling it out. There is always electric sparks when we plug in, which may cause electrical shock hazards. 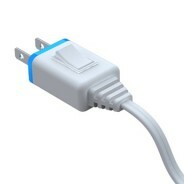 But we can avoid this hazards by using a plug with disconnected circuit. 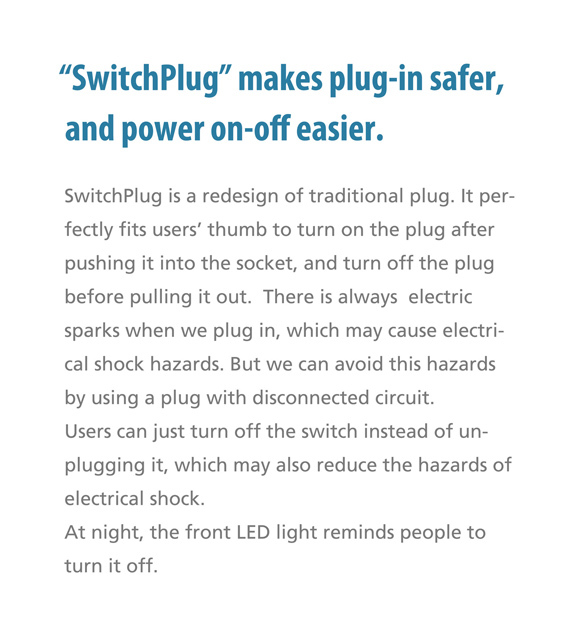 Users can just turn off the switch instead of unplugging it, which may also reduce the hazards of electrical shock. At night, the front LED light reminds people to turn it off. UX Designer at Google. Interested in User Experience Design and Industrial Design.